Windows 10 has a lot of valuable features comparing to its predecessors. 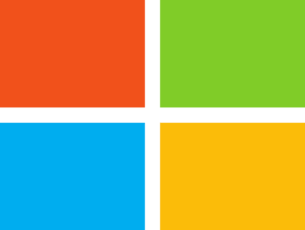 However, Microsoft went too far in some regards with underwhelming changes that have a major influence in everyday and professional use. Namely, the automatic Windows Update that won’t let users adjust it. They stated that this is a positive feature, primarily for security reasons. And that is understandable. But, what about drivers? The drivers are installed without users confirmation and that can lead to all kinds of issues. Moreover, that leads to unusable hardware, all-around underperformance and, eventually, to the Blue Screen of Death. So, we’ve prepared some temporary workarounds that will let you surpass automatic drivers update. Since Microsoft forgot to implement standard selection, we must use tricks. 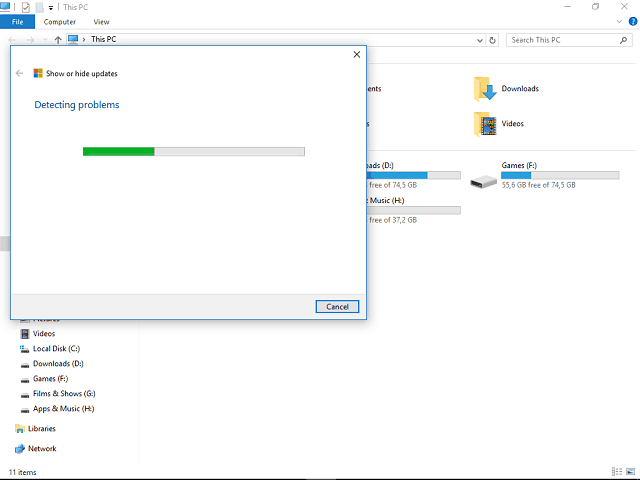 This is a simple workaround that will prevent Windows 10 from updating. Have in mind that this shuts down complete update so you’ll skip on various security and stability updates. This makes it a temporary solution. Open Start and click Settings on the left. Go to Network & Internet. Choose Wi-Fi and click Manage Known Networks. Select your Wi-Fi network and click Properties. Enable Set as metered connection. If you are using more wireless networks, you’ll have to set them up individually. However, when it comes to the Ethernet connection, things are not as simple as this. Apparently, Microsoft thought that all of the Ethernet connections have an unlimited data and we know that is not the case. In order to tweak wired connection, you’ll have to use a registry edit. We’ll lead you trough the procedure. Have in mind that Registry Editor misuse can cause all kinds of trouble so use it carefully. Additionally, you’ll have to tweak permissions in order to make changes. Open Search Windows and type Regedit. Right-click on the icon and choose Run as administrator. Right-click DefaultMediaCost and choose Permissions. Click Change at the top. Type your Microsoft account e-mail address in the Enter the object name box. Click Check name and confirm. In the Permissions for the DefaultMediaCost window select Users group. Then check Full Control box bellow and confirm. This would enable editing this specific registry key so let’s move on. Right-click Ethernet and choose Modify. In the Value Data box type 2 instead of 1. This is easily reversible with switching between 2 and 1. Two stands for metered connection. Even though the system won’t inform you, you’ll be running metered ethernet connection. Right-click on the Start and choose Device Manager. 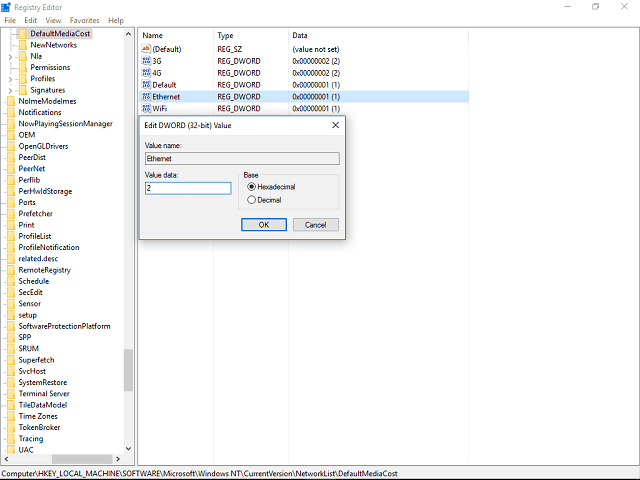 Find wanted device and open Properties from the context menu. In the Property drop-down menu select Hardware ID. Select all ID’s, copy and paste in any text editor. Be sure to save it. In the Search Windows type gpedit.msc. Right-click and Run as administrator. In the left sidebar follow this path: Computer Configuration\Administrative Templates\System\Device Installation\Device Installation Restrictions. On the right side open Prevent installation of devices that match any of these devices IDs. 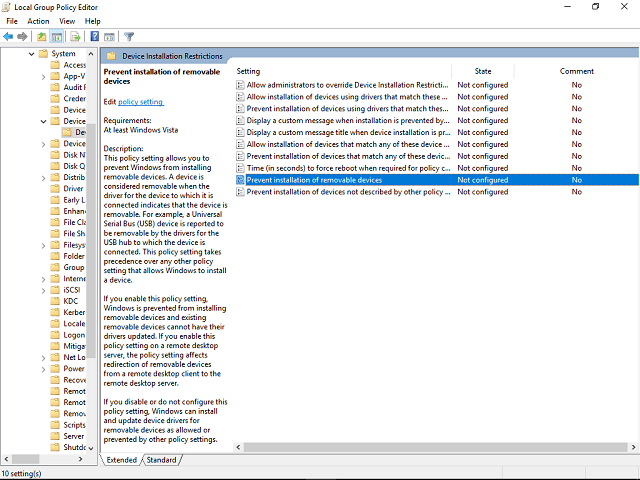 In the Policy window, click Enable and then Show. Copy ID’s one by one from the saved document and past them in separate Volume columns. Save changes and exit Group Policy Editor. At the next update, you should be prompted with an error. That is the confirmation that the tweaks were successful. Selected drivers won’t install anymore. Download TweakBit’s Driver Updater Tool (approved by Microsoft and Norton) to safely update your drivers automatically and preferentially. 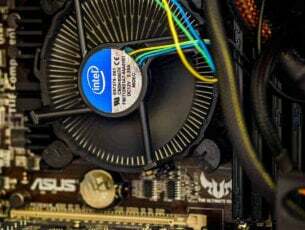 This tool will scan your PC and give you a list of outdated drivers. Review the list and see if you want to update each driver individually or all at once. Since even Microsoft is aware of possible driver malfunctions that may occur after updates, they prepared a downloadable tool. 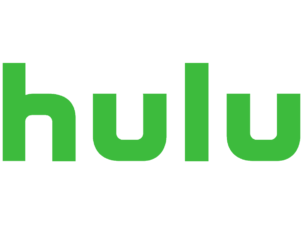 You can’t block updates with built-in software, so this is a viable solution. This troubleshooter is easy to use and you can download it here. You should use this tool before you install updates, so it is worth to use it as often as you can in order to hide unwanted updates. Open the link and download the troubleshooting tool. Let the tool scan for the available updates. If there are available updates, you can choose whether you want to hide them or not. Hide unwanted updates and confirm. When the next update occurs, selected updates will be skipped. Microsoft presents this tool as a temporary solution, but we think you can use it as long as you want. 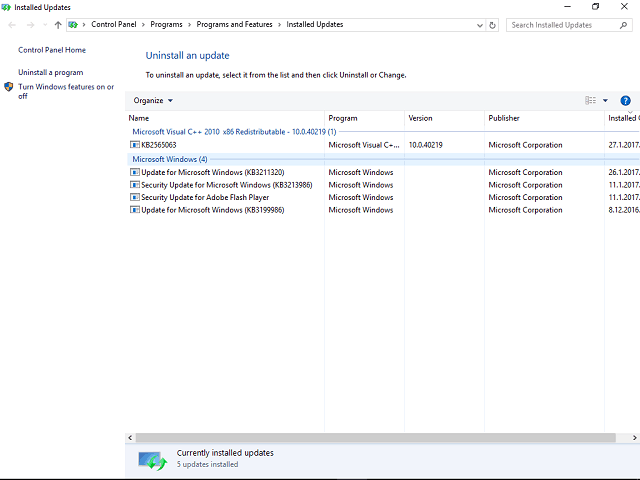 Go to Search Windows and type Windows Update Settings. Find unwanted ones and uninstall them. You can additionally try and roll-back drivers from Device Manager. This way you’ll retrieve the older, functioning version of the driver. In the Device Manager, find a faulty device driver. Right-click it and open Properties. If everything is as should be, you’ll get the pre-update version. In addition, we strongly advise you to ignore all Windows generic drivers and obtain drivers from the official site of the device producer. That is the best way. Microsoft insists on automatic Windows Update no matter what the users say. However, there is a positive side to this. People were ignoring updates on previous Windows versions too often. And, in some cases, your system security and all around stability suffer because of that. But, at least they should let us choose what to update. What is your standing on this subject? Is an automatic update a problem or a relief? Tell us in the comments.